A waterfowler’s photo album might give the impression that duck hunting is just a series of action-filled days and hero shots on far-flung landscapes. We know the mystique goes deeper. Duck hunters search constantly for the right gear, perfect setup, right situation, or ideal hunt. And they continually challenge themselves and their gear, pushing through 3 a.m. alarms, frigid water, and stinging north winds. That mindset probably explains why duck hunters are among the ultimate do-it-yourself thrill seekers. Sure, many could hire an outfitter and enjoy great hunts on exclusive water, but they prefer to seek new challenges on their own. 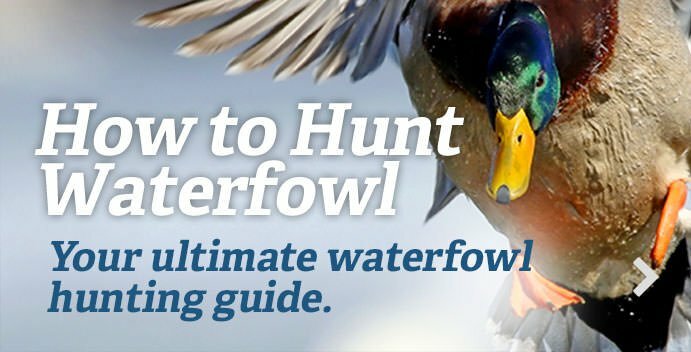 If that sounds like your game, consider these essential self-guided duck hunting adventures. There might be no finer waterfowling journey than a trip to America’s duck factories—the prairie potholes of North Dakota and South Dakota. Collectively, the prairie pothole region of Canada and the United States accounts for about 50 to 80 percent of North America’s annual duck production, and nowhere is that more evident than in the eastern Dakotas. Filled with miles of habitat and abundant public land, they can be a freelance duck hunter’s dream. Further, the area offers all types of hunting—pothole puddle ducks, big-water divers, grain-field ducks and geese, and even jump-shooting. Scouting is the key to good prairie hunting. Identify likely areas by studying maps or getting recommendations from other hunters, and then prepare to burn boot leather and spend lots of windshield time. Drive back roads or section lines, and glass sloughs, lakes, and fields. Watch for birds in the air, and note their travel direction or probable destination. Use aerial photographs or GPS maps to locate hidden water or fields, and then, if legal, hike into those areas to check for birds. Don’t be afraid to knock on doors and ask permission to hunt private ground. True, guides have leased up lots of land in some parts of the Dakotas—notably the Devil’s Lake and Jamestown areas in North Dakota. Still, many areas remain relatively open, and farmers or other landowners often consider polite requests to hunt. You’ll encounter more competition in North Dakota, which has over-the-counter nonresident waterfowl licenses. South Dakota probably has a bit less duck country, but it limits nonresident hunter numbers through an annual license draw, typically held in July. Incidentally, North Dakota law recognizes implied consent. That is, if private land is not posted, you can legally hunt it. Still, it’s always preferable if you can locate a landowner and touch base. Equipment needs can vary greatly on the prairies, but they really boil down to the type of hunting you intend to pursue. If you plan to lay out in cornfields for mallards, pintails, and snow geese, pack plenty of field blinds, spinning-wing decoys, and full-body fakes. For hunting smaller sloughs, a skiff or canoe with a dozen or two dozen floating decoys will suffice. Big water requires a good boat, maybe a blind, and lots of floating decoys. Or pack trailers full of everything and enjoy the gamut. That’s the best part about the prairies: variety. You’ll typically shoot multiple duck species in the Dakotas, including mallards, pintails, wigeon, gadwalls, shovelers, ringnecks, redheads, bluebills, canvasbacks, bufflehead, and green-winged teal. Focus on one if you like, or take different birds to fill your limit. That’s all part of the freedom of the open plains. Canvasbacks earned the title as king of ducks because of their grace, speed, stunning appearance, and unparalleled table qualities. The greatest display of that royalty occurs annually along the upper Mississippi River in Wisconsin, Minnesota, and Iowa, but specifically on Pool 9, where a huge percentage of the continental can population might congregate during peak migration. Consider that past U.S. Fish and Wildlife Service aerial surveys from revealed about 80,620 and 76,250 canvasbacks on Pool 9, respectively. That stretch of river features abundant public opportunities for canvasbacks and other ducks, but do-it-yourself hunters must prepare for the Mississippi’s unique challenges. Dersham mentioned that canvasback numbers typically peak about November 10, but hunters usually start seeing some birds by Oct. 20. Cans normally start migrating out in late November. When the flight is in, hunting pressure can be intense, especially during weekends. Dersham favors large spreads—100 to 200 decoys—for cans but said he’ll also use smaller rigs when hunting islands or smaller lakes on the pool. Of course, Mississippi Flyway hunters can only shoot two cans per day during the 2015 season, so they’ll have to count on other ducks to fill their bag limits on Pool 9. Dersham said that’s usually not an issue. Veteran hunters often care more about checking off their life list—that is, how many species of ducks they’ve taken—than filling straps. And for many, colorful sea ducks represent the greatest trophies. Usually, collecting those specimens requires a trip to Maine or Alaska, but the Upper Midwest offers a great alternative for at least one species. Lake Michigan, off the coast of Wisconsin and, to a lesser extent, Michigan, Illinois, and Indiana, serves as a wintering ground for long-tailed ducks, formerly called oldsquaws. These colorful, talkative birds feast on mussels far offshore and provide great open-water hunting opportunities for properly equipped do-it-yourselfers. First, a disclaimer: The main longtail flight paths and feeding areas are several miles from land, in 60 to 80 feet of water, although some exceptions exist. Hunting this water during the peak migration in November and December can be extremely dangerous. You need a large, stable boat with one or more reliable motors. It’s also wise to carry marine radios. During periods of unstable weather or heavy waves, stay on shore. Apart from the inherent dangers of big water, longtail hunting isn’t that different from standard diving duck gunning. Longtails typically fly best from about 8 a.m. until noon. They’re not especially wary, but they’re fast, agile, and extremely tough. Expect lots of misses, and don’t hesitate to ground-pound any seemingly dead duck that raises its head after hitting the water. Many hunters off Wisconsin ports set up in layout boats with a few multiple-decoy lines around them and enjoy fantastic shooting. If you go this route, you’ll probably have to use extensions on your anchor lines and make sure your anchors are heavy enough to hold in Michigan’s rolling swells. Other folks simply tie one or two multiple-decoy lines to the bow and stern of their boat and drift. This method used to work extremely well, but longtails have wised up to it somewhat. Nowadays, layout hunters consistently do better than drifters. You’ll also shoot some scoters—commons, surfs, and especially white-wings—on Michigan, and even an occasional harlequin duck shows up. But longtails are the stars. They’re usually in full plumage by mid-November and can have gorgeously long tail sprigs. With thousands of birds near some ports, many hunters focus solely on drakes. These do-it-yourself trips represent just a fraction of the self-guided waterfowl hunts you can enjoy this season. Pursue a great adventure this year, but remember to enjoy every aspect of it along the way, including hardships, obstacles, and failures. Hero shots are great, but colorful stories and vivid memories hold much more value.